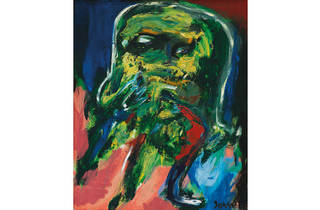 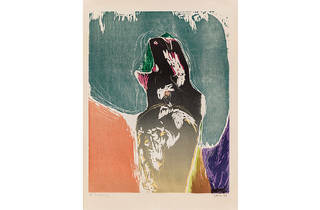 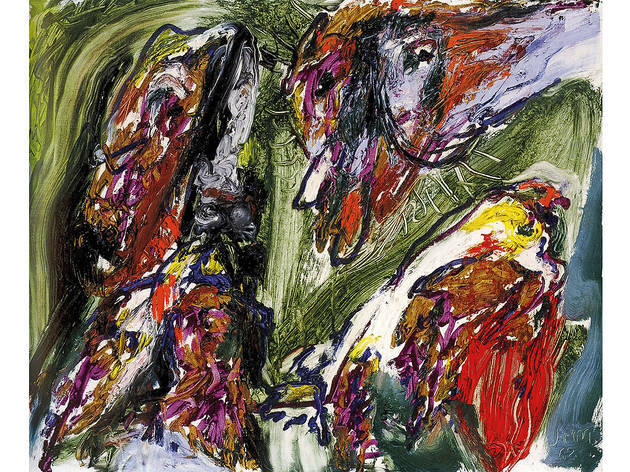 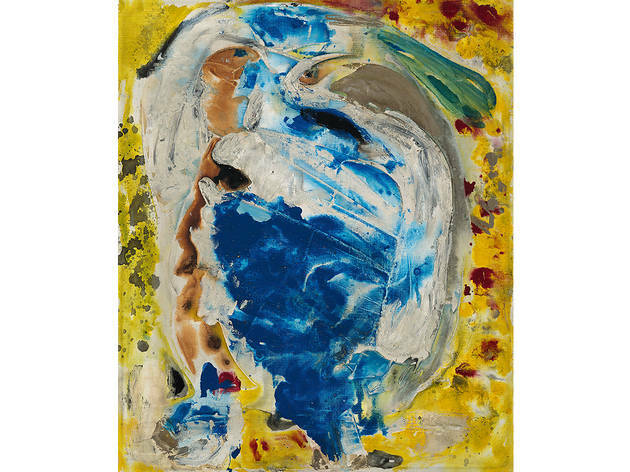 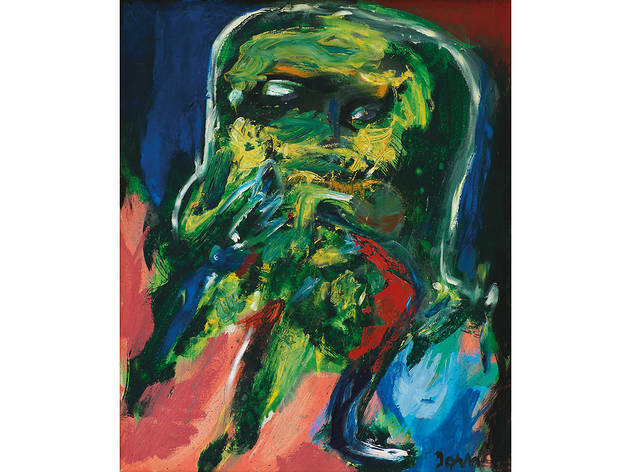 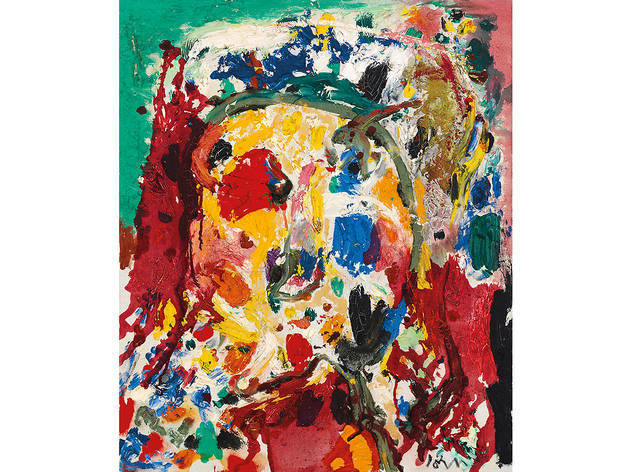 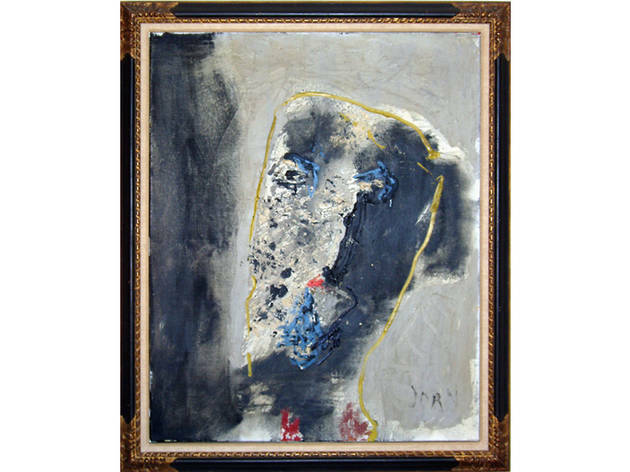 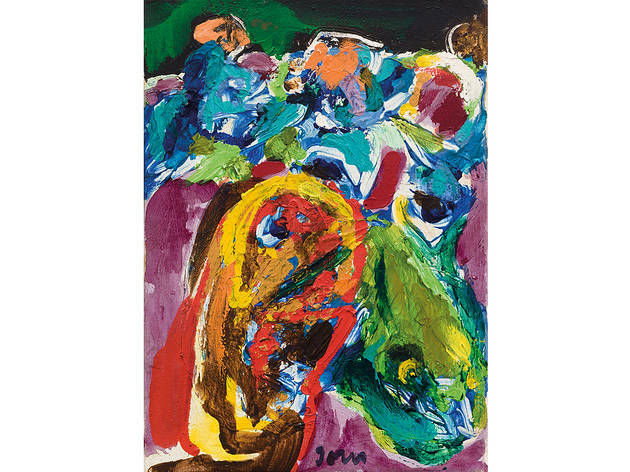 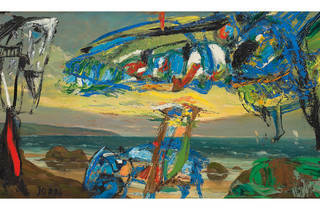 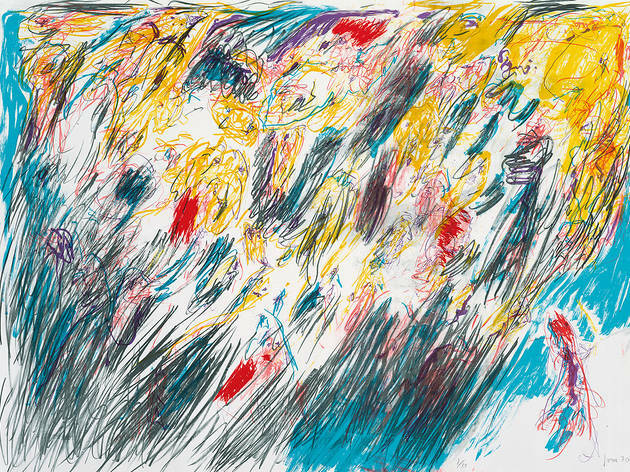 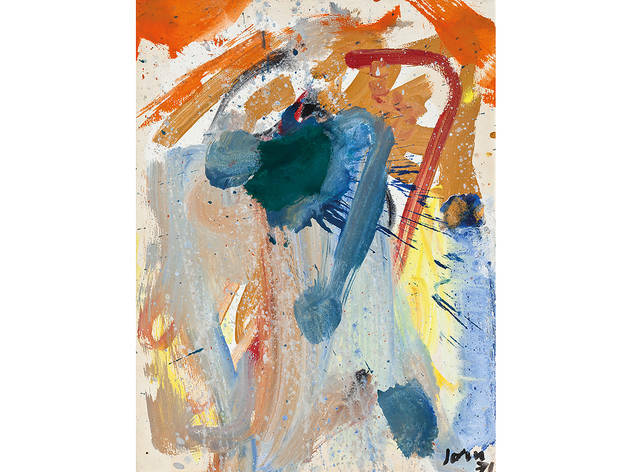 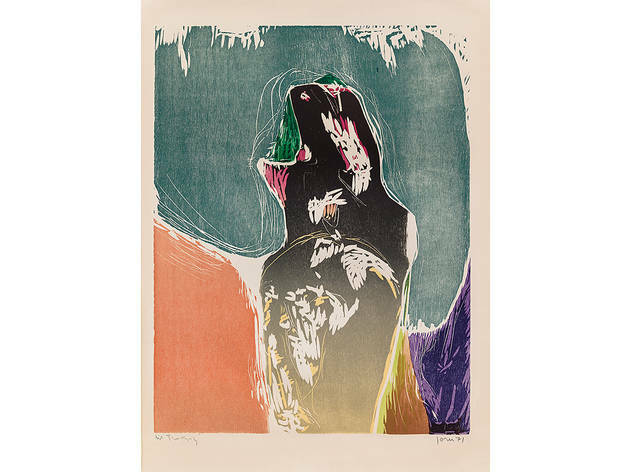 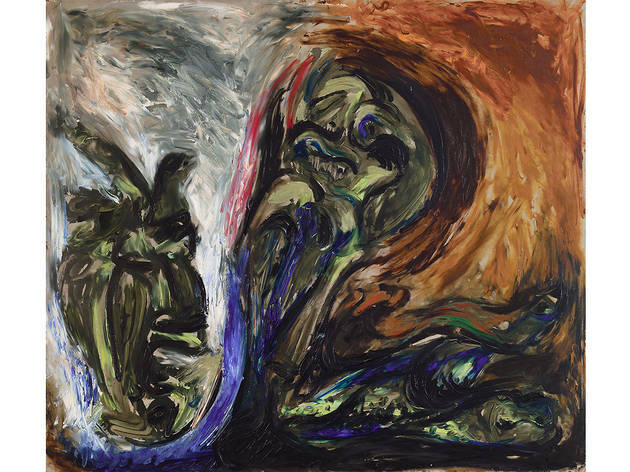 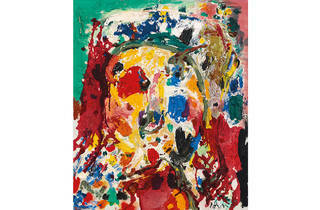 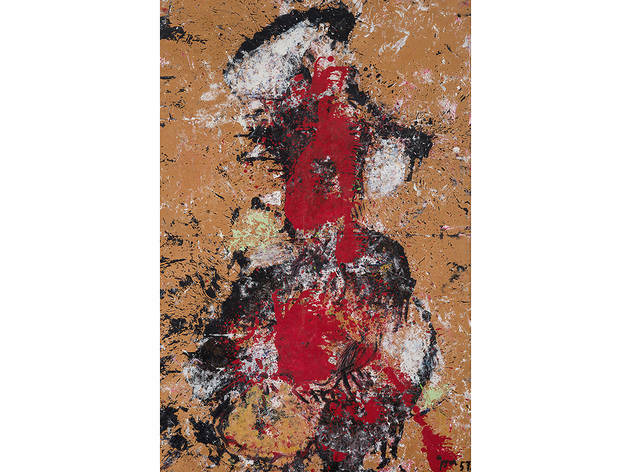 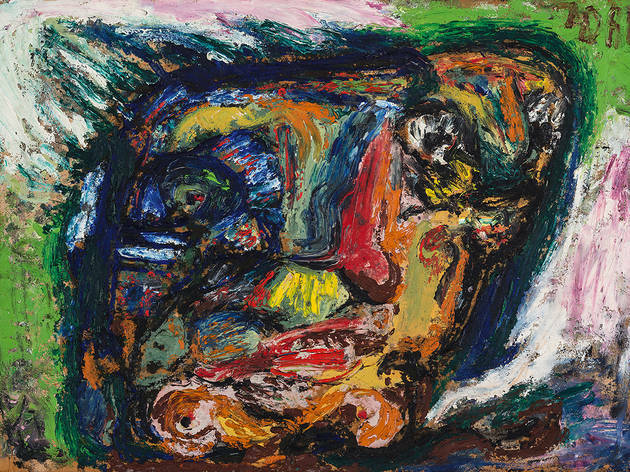 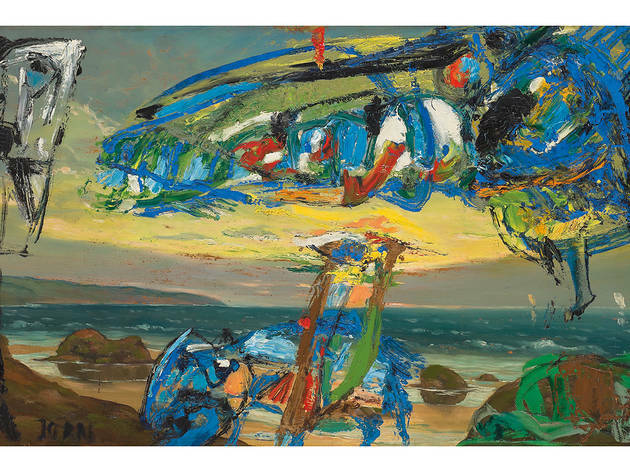 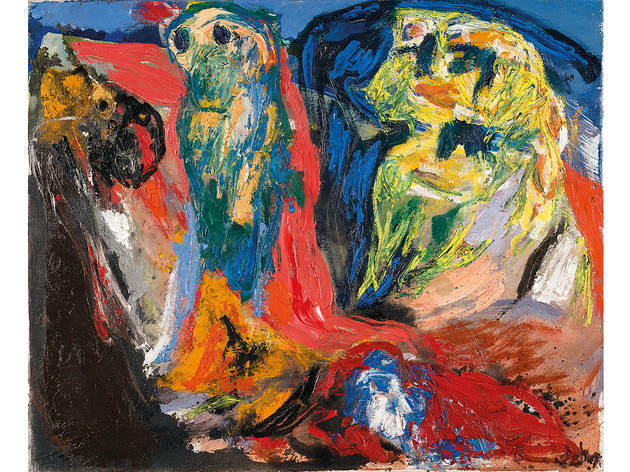 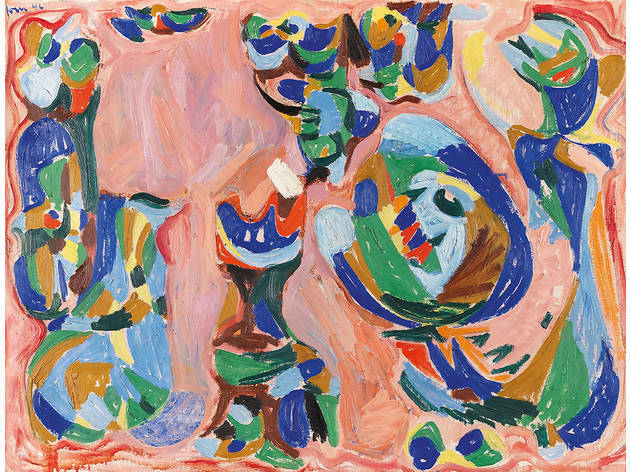 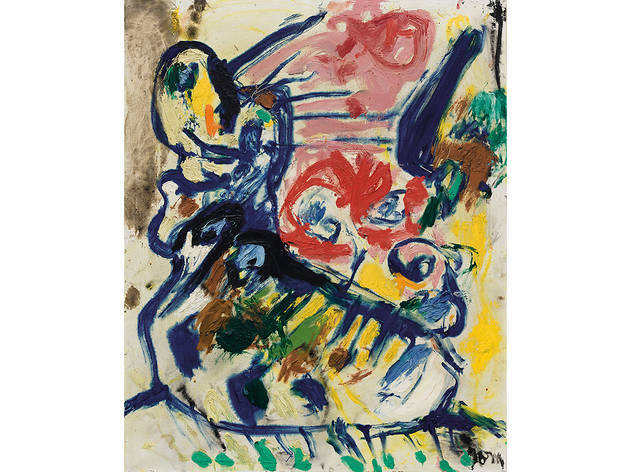 Though lauded by American-art historian T.J. Clark as “the greatest painter of the 1950s,” Danish artist Asger Jorn (1914–1973) has remained under the radar outside of Europe. 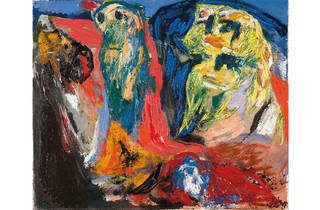 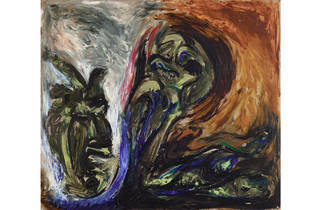 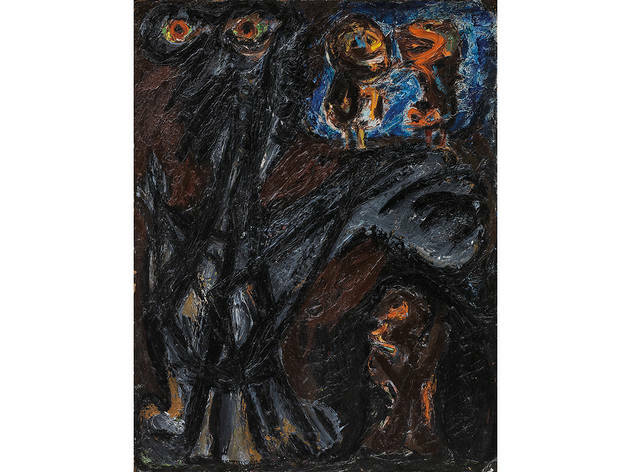 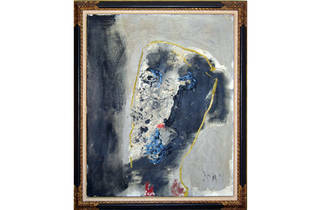 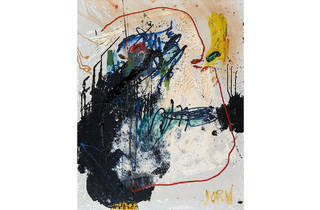 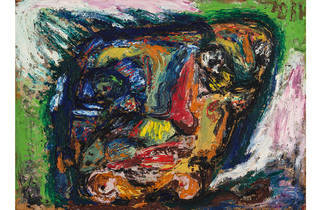 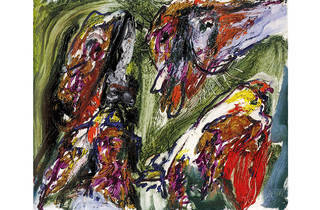 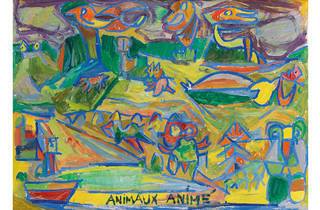 A cofounder of the short-lived CoBrA movement—which emphasized process over product and “uncivilized” style over outwardly serious content—Jorn was also associated with the Situationist International, the influential group that sought to disassemble capitalism’s illusory “society of the spectacle.” Yet what this compact but enthralling selection of paintings and prints reveals above all is an electrifying talent possessed of a freedom and wit sometimes lacking in Jorn’s modernist peers. 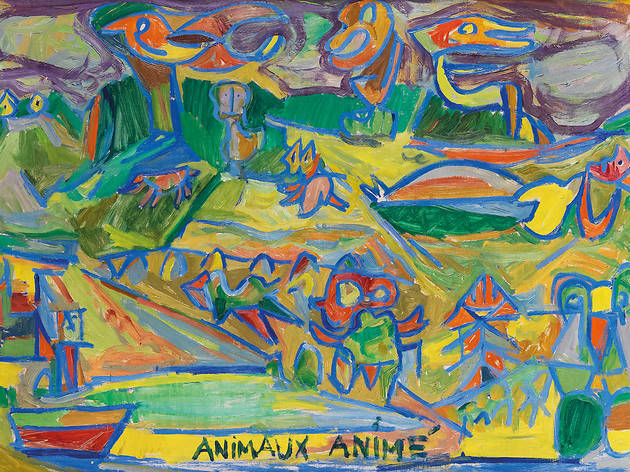 The works are marked by a vivid expressionistic technique and an antic iconography in which wayward humanity confronts the wilds of nature. 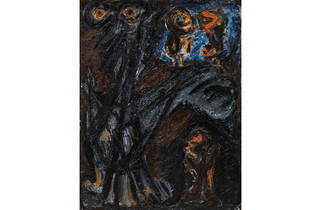 Titles like Bird Observing a Flock of Dumbuggers: naughty picture, No. 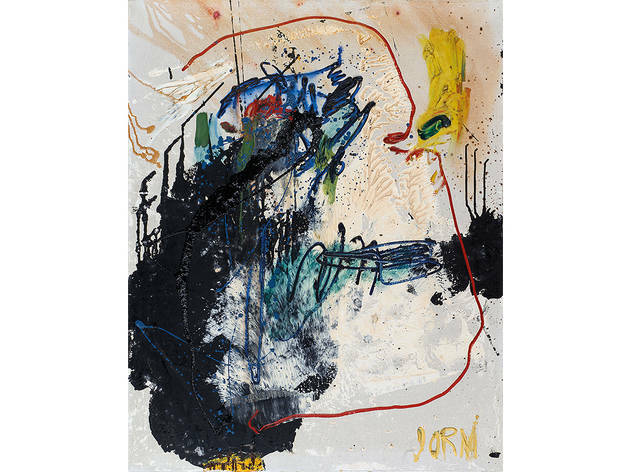 3 offer a taste of Jorn’s infectious irreverence, as does his readiness to paint over extant works or depict himself with the body of Edvard Eriksen’s iconic statue of Hans Christian Anderson’s Little Mermaid—a Copenhagen tourist attraction that suffered beheading at the hands of Situationist pranksters in 1964. 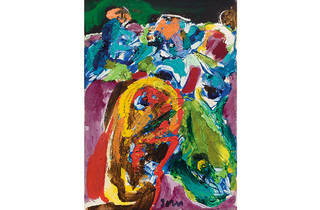 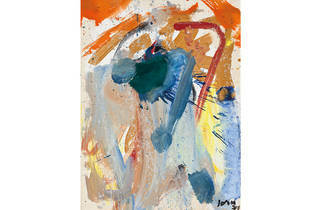 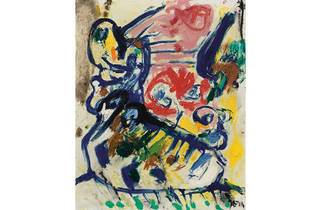 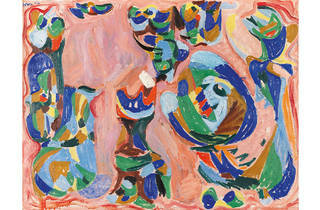 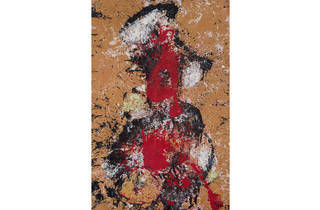 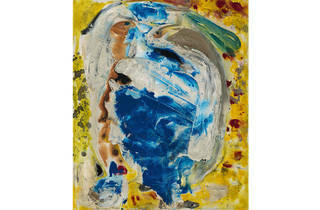 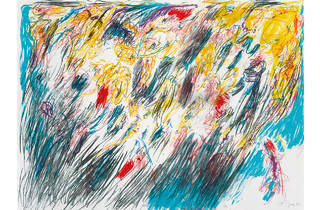 The scale of these works may be modest, but their fluid aesthetic and mischievous experimental energy are anything but.